Food has been bringing people together as far back as anyone can recount. While we have a large extended family, for many of our holiday meals we prefer an intimate home setting. Rather than cooking a huge potluck-type meal, we enjoy a smaller meal with close friends or family. 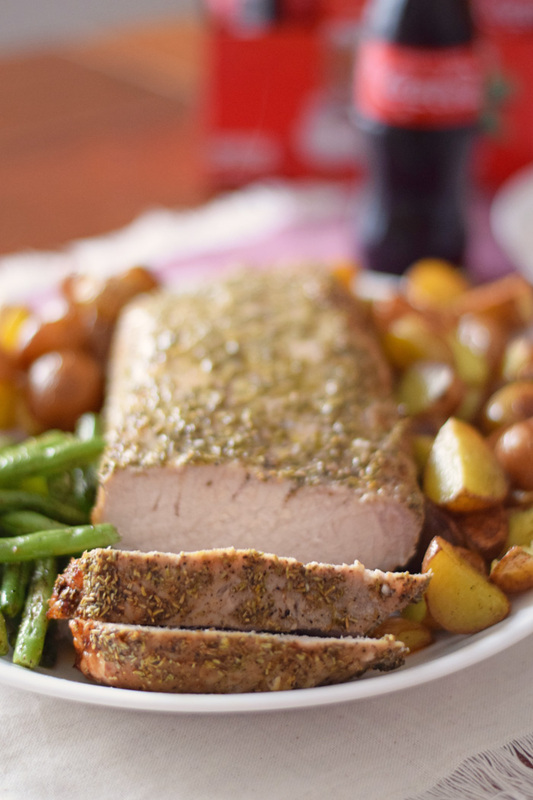 This Roasted Pork Loin with roasted vegetables is a family favorite. A bonus is that it is easy enough for any beginner cook to accomplish, too. 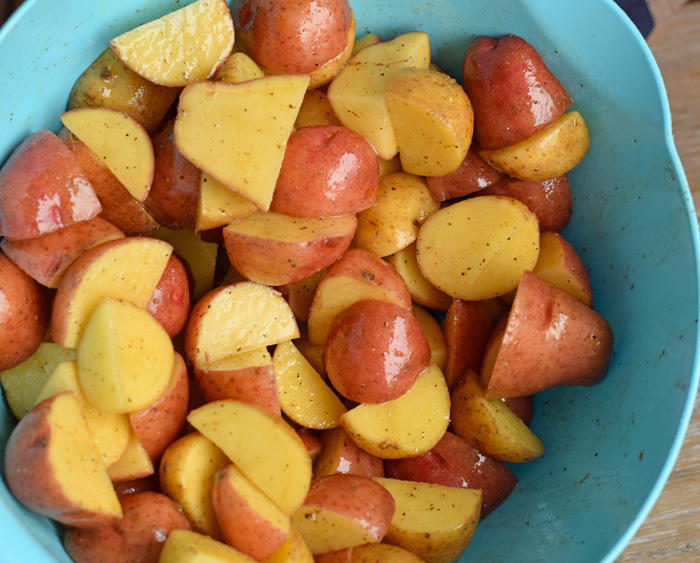 For the potato choice, this recipe may be used with sweet potatoes or baby potatoes. I do not recommend traditional russet potatoes. 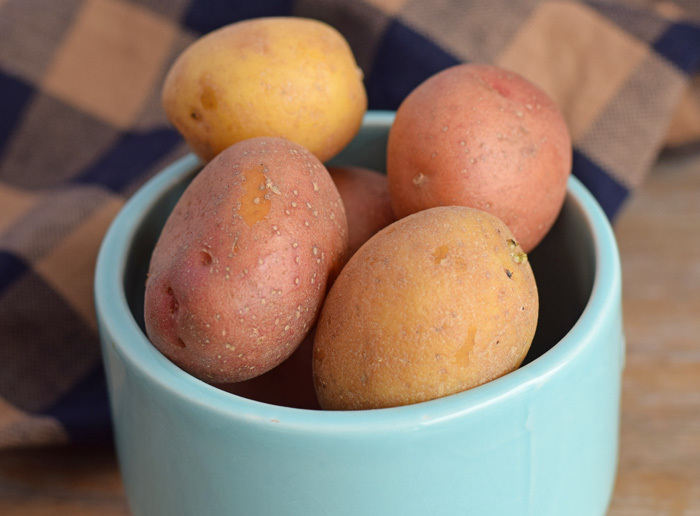 These baby potatoes or sweet potatoes have a thinner skin that allows the oil and the spices to flavor the potato pieces. Do you have a beverage that reminds you of past holidays? Coca-Cola™ classic glass bottles do that for me. They are a perfect holiday pairing for festive meals. Even their color is a festive red! Whether you are cooking at home or traveling, they are a tasty holiday meal pairing. Begin with the pork loin. Preheat the oven to 350 degrees. In a small bowl, combine the crushed rosemary and garlic powder. Add Pink Himalayan sea salt and black pepper to taste. Combine. 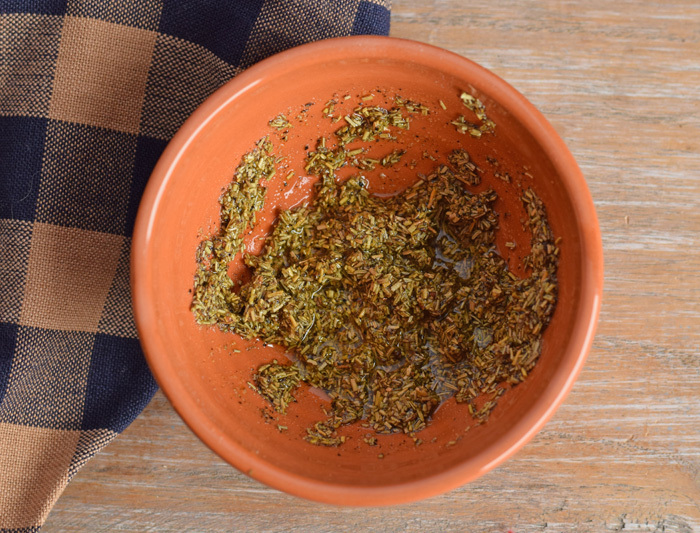 Pour in olive oil, small amounts at a time, and combine with the spices. Add olive oil until the ingredients have made a paste. The combination should NOT be runny. Cover a baking dish with aluminum foil. 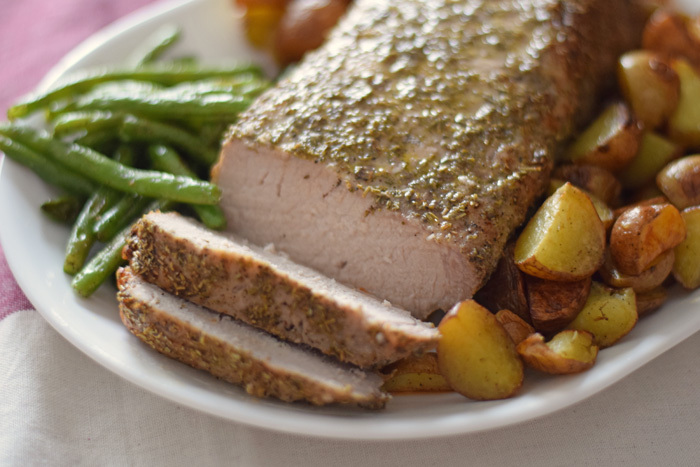 Using a fork, poke holes all over the pork loin. Rub the paste over the entire pork loin, lightly pressing the paste into the holes. 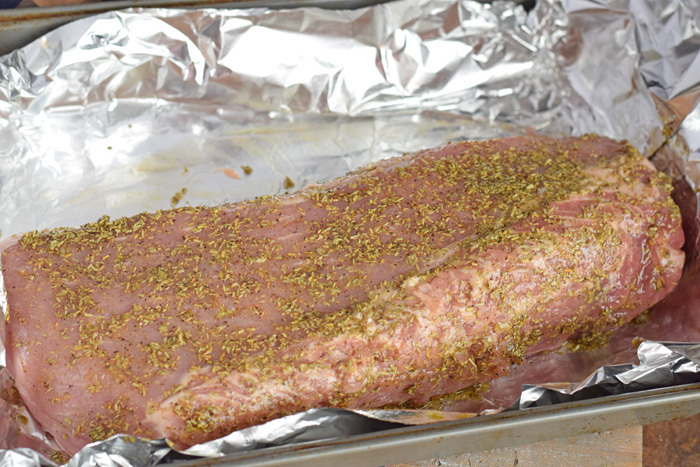 Bake for approximately one hour until the pork loin reaches 165 degrees internally. While the pork is baking, cut the potatoes into small pieces. If using the baby potatoes, quarter the potatoes. Add the potatoes to a large bowl. Cover with olive oil. Add ground black pepper and Pink Himalayan sea salt and combine to coat the potatoes thoroughly. Cover a pan with the aluminum foil. Pour the potatoes onto the pan. 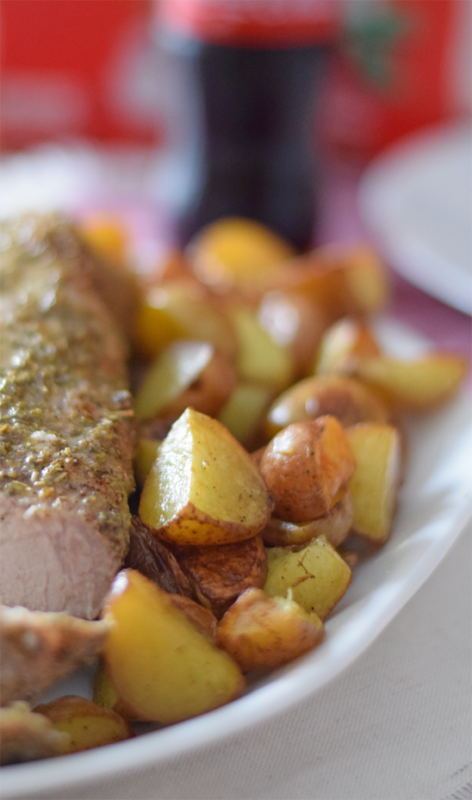 Add the potatoes into the oven beside of the pork loin during the last 15 minutes of baking. 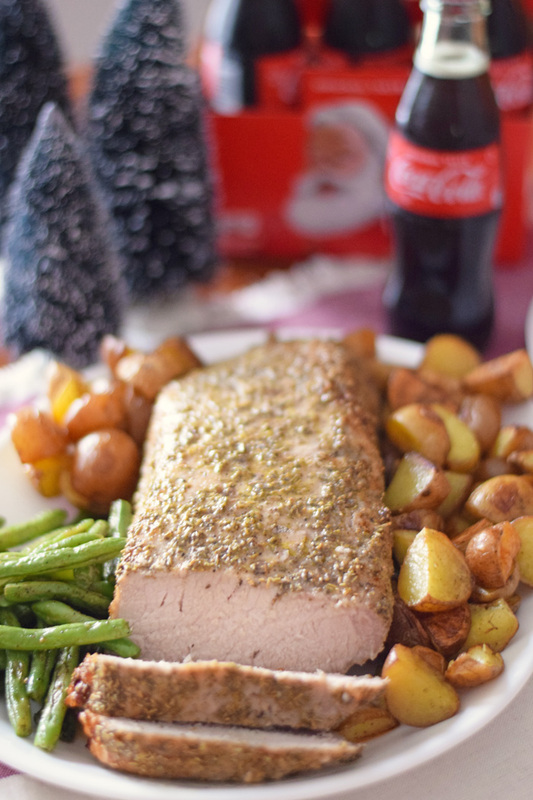 Remove the pork loin and cover with aluminum foil to keep warm while the potatoes are roasting. Once the pork is out of the oven, bump the oven temperature up to 425 degrees. Roast the potatoes for at least another 20 minutes. The potatoes are finished when they are slightly browned around the edges and a fork pierces them easily. If desired, you can roast green beans during this time, as well. When I roast vegetables, I typically place them in individual pans (unless they are peppers or onions). When veggies of different thicknesses are in the same pan, it is easy for some to get done faster than others, and the smaller ones will sometime burn. I threw a few fresh green beans on a covered pan, covered them with olive oil, black pepper, and Pink Himalayan sea salt, and placed them in the oven beside of the potatoes. The green beans are done when they have light brown spots and are easily pierced with a fork. 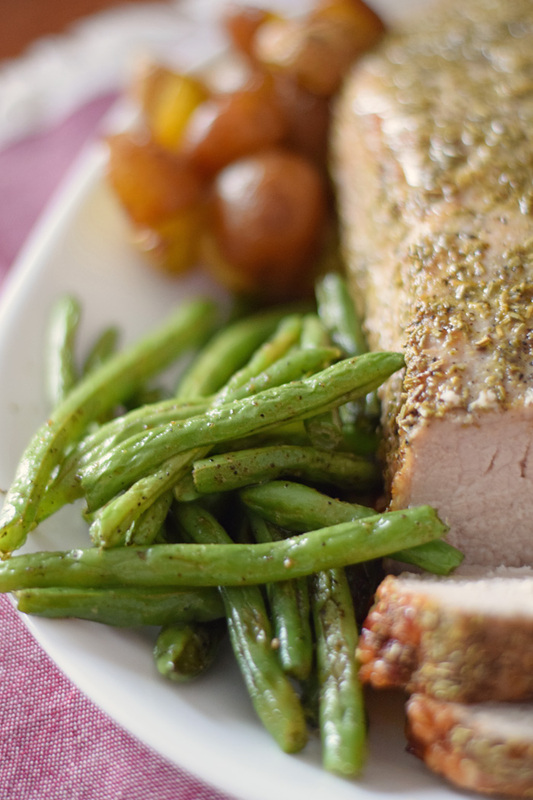 On a large serving platter, add the pork loin, potatoes, and any other vegetables. I shared yesterday how my grandmother always had a refrigerator of Coca-Cola for us grandkids when we would come over for the holidays. 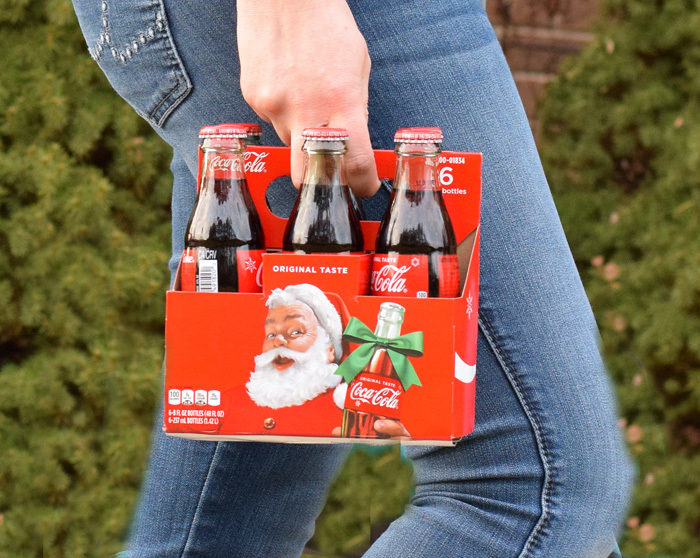 Seeing these Coca-Cola glass bottles in the store always brings back those memories for me, and I can’t resist picking up a pack whenever the holidays come around. Find more Coca-Cola food pairings here! 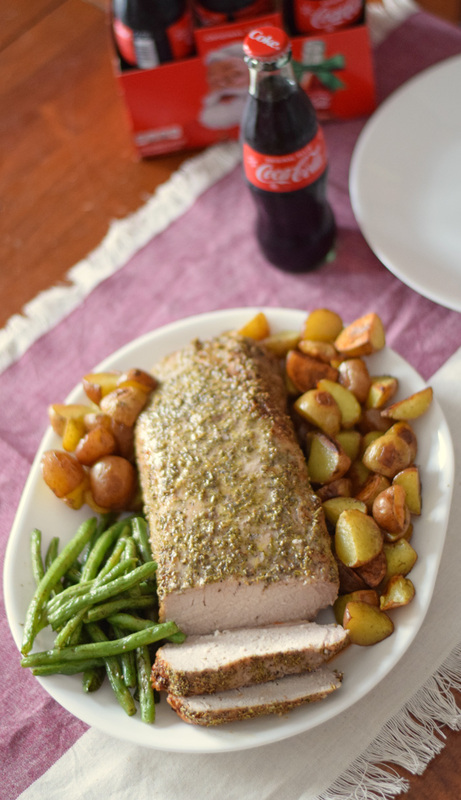 Pork loin is one of my all time favorite foods to make for dinner! I love that you incorporated my favorite herb too! Rosemary! Yum! Oh and coke, heck yeah, sometimes you just gotta have an iced cold coke with your favorite meals! YUM! What a great recipe! This time of the year I am always looking for great recipes liek this. My husband would love it because it isnt chicken!! ha! I cook a lot of chicken. I always buy a few cases of the vintage coke bottles for the holidays = such a fun holiday treat. I don’t think I’ve cooked pork loin before. Hmmm? Thanks so much for this simple recipe. This recipe sounds delicious! I haven’t made a pork loin in a long time. I will have to try this one! Ps, the pork looks delicious! You can never go wrong with a Coke! 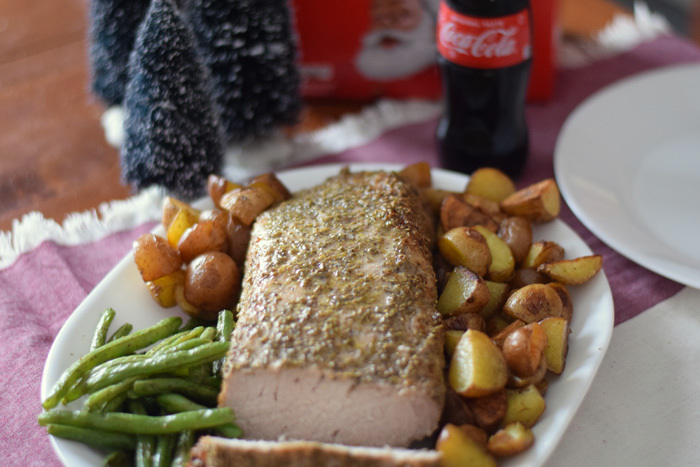 My sister has even cooked with Coke before and it was very favorable, as for pork loin I seem to never get mine just right I may need to add more herbs cause yours look so delicious! This is such a great idea! 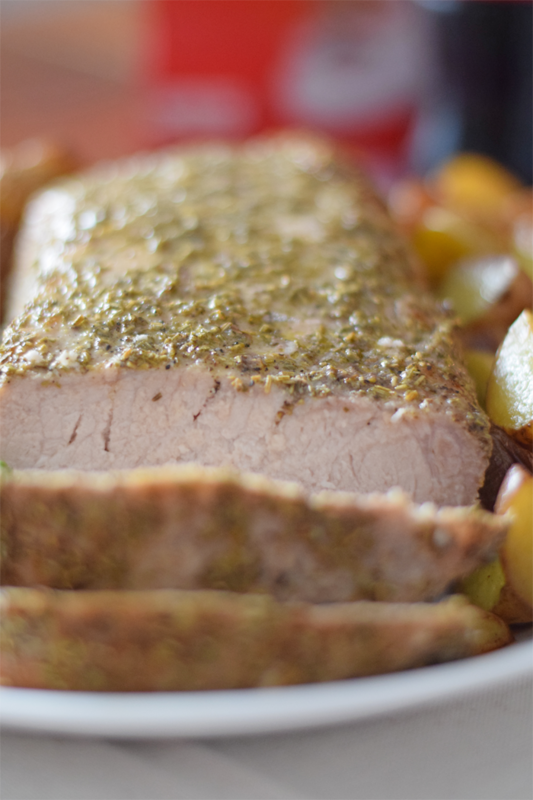 I love pork recipes because trying different things with it is always the best! This looks great, definitely going to try it out! 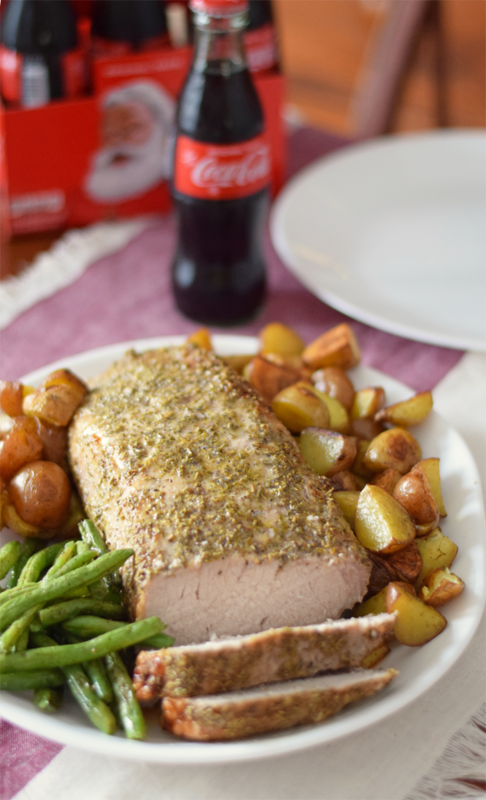 Thank you for sharing this – always looking for tasty new recipes to try for dinner! I always worry about not being able to cook pork properly but you just made it look so simple! I’m gonna have to try this for sure! Coca Cola always seems to taste way better in glass. Somehow it feels a lot more refreshing! This is a very good recipe, the only extra thing I do is: I make slits in the pork and put some fresh sliced garlic into them. Gives a nice garlicky flavor, which we really like.